Our purpose is to enhance your quality of life through a thoughtfully designed healing environment, state-of-the-art techniques and a loving and compassionate staff. We've created this space for you to feel good in — we hope you enjoy it! 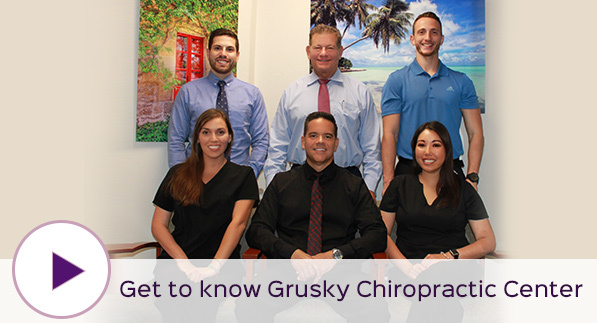 Miami chiropractor, Dr. Elliott Grusky of Grusky Chiropractic Center, PA offer his patients the very best in cutting-edge family wellness care. The practice focuses on whole family care, from newborns to great-grandparents. 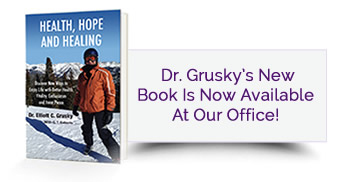 Dr. Grusky utilizes techniques that are cutting edge, yet gentle, safe and effective. He will ensure that every practice member feels cared for and supported in their journey to optimal health. We go the extra mile in trying to make our patients feel completely at home. We like to think of our office as being very Zen, even going so far as having our space designed by a feng shui professional. The result is an environment that stimulates calm and relaxation, an atmosphere very conducive to healing. 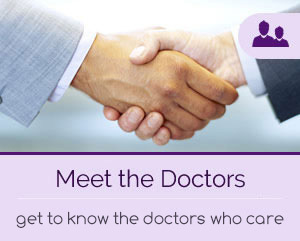 The best part about our practice is that we really care about you. We’re warm and friendly and always committed to exceeding your expectations! 8 am – 12 pm! Contact us today for an appointment! Very professional group I’m feeling more motivated and hopeful about getting back to my old self then I have in years. Thank you. Great Doctor, listened to my ailments, I felt better after treatment. He showed me the X-rays and explained what’s happening as we age. Will show my chiropractor back in South Dakota. Thanks for the treatment. Excellent providers & amazing staff. I’m very happy I’m in good hands! I started with Dr. “Elliot” almost 30 years ago. It’s wonderful to be back under his wing again. He’s an angel in disguise. His staff couldn’t be more pleasant- a very peaceful and satisfying experience. This practice, along with the admin staff is more than excellent. They explained the x-rays in my 1st & 2nd visit to ensure I understood, made me feel confident I’d get better and the front desk staff is attentive & so polite. LOOOOVVVVEEEE this place!